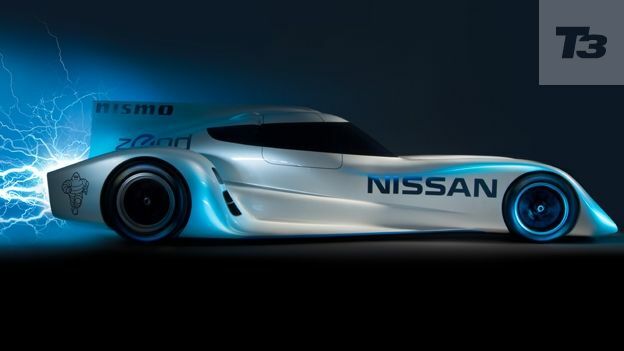 Nissan has unveiled the ZEOD RC, an electric racing car capable of speeds over 300kph. The company will be entering the car in the 2014 24 hour Le Mans endurance race to not only testbed new technology but also to disprove many preconceptions about electric vehicles. Speaking to T3, Nissan's Global Motorsport Director Darren Cox explained why the company had unveiled the car to fans before the press pointing out that 'motorsport today is too closed off, too elitest, we really wanted to get the fans involved'. The main purpose of the car however is to act as a testbed for trying out new technology, something that Cox feels the motorsport industry is no longer doing. "There's not enough innovation coming from motorsport and then heading to conventional cars, with the ZEOD RC however we plan to change that." Nissan have been focusing heavily on electric vehicles with the Nissan Leaf now recognised as the world's best-selling electric car. The ZEOD RC will be the foundation for technology that could then go into the next generation of Nissan Leaf vehicles. Check out this month's T3 Magazine for a Future Cars special looking at the future of motoring tech along with some of the hottest cars available right now.